The accuracy of mobile coverage claims by Vodafone and EE are to be investigated by the UK telecoms regulator. Ofcom said EE had overstated its 3G coverage in rural areas, while Vodafone had understated its 4G coverage. EE - which is owned by BT - apologised for any confusion it had caused, and said it had updated its coverage maps. Vodafone said it "may have been inadvertently under-reporting the extent of our 4G network coverage". Companies have a legal obligation to provide accurate coverage data to Ofcom. The data is used by the firms themselves to give coverage information to customers and to potential customers. Ofcom is gathering evidence at the moment, and will take into account any potential damage to customers in any final sanctions against the firms. An EE spokesperson said: "There would have only been a difference in predicted data coverage for a very small number of customers in specific areas. "We apologise for any confusion this may have caused, and we continue to work to give our customers the most accurate view of the coverage available to them so that they can make an informed decision about their choice of mobile network." 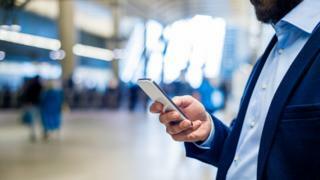 Vodafone said the data it had submitted was "adjusted to reflect the signal customers actually receive on their mobile phones".